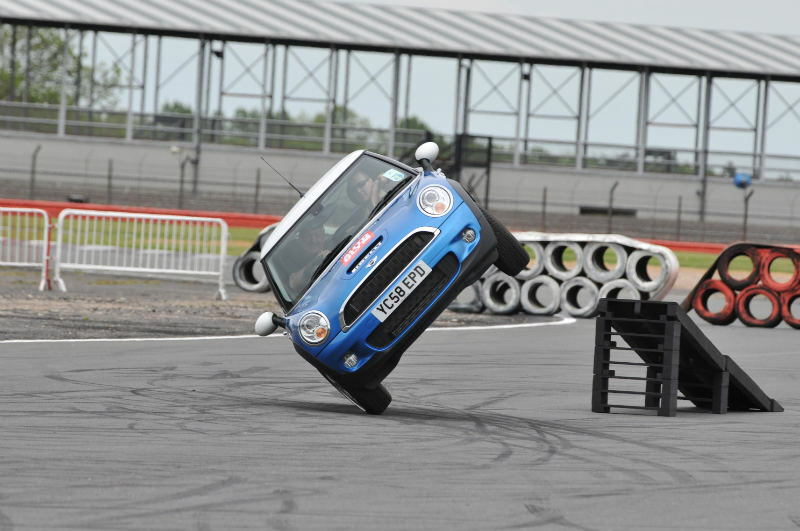 The third edition of what has already become the legendary MINI United Festival was recently held from May 22 – May 24 at the Formula One track in Silverstone, England. 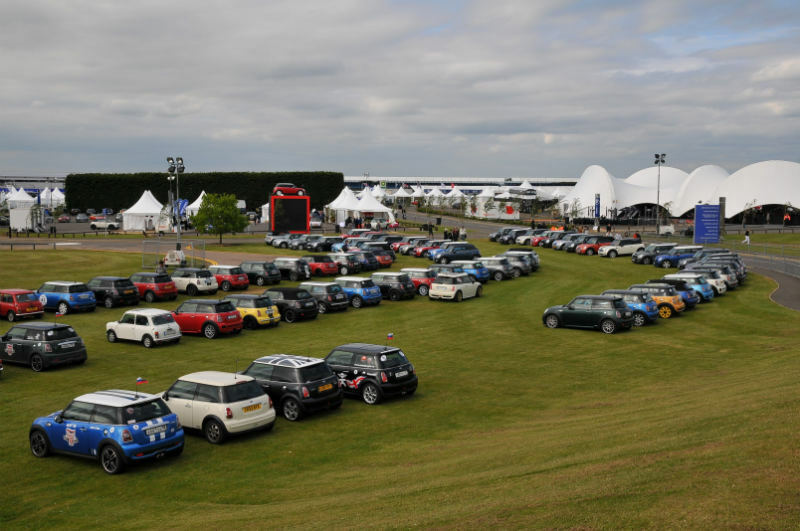 Arriving in over 10,000 MINI models, approximately 25,000 fans from more than 40 countries made the pilgrimage to the world’s premier gathering of its kind. Numerous German fan clubs made their way to the venue, mostly setting out by car on the long journey to the UK. Even for participants from as far afield as Russia, the USA and South Africa, no effort or cost was too great to ensure they could pay personal tribute to the British classic on its 50th birthday. 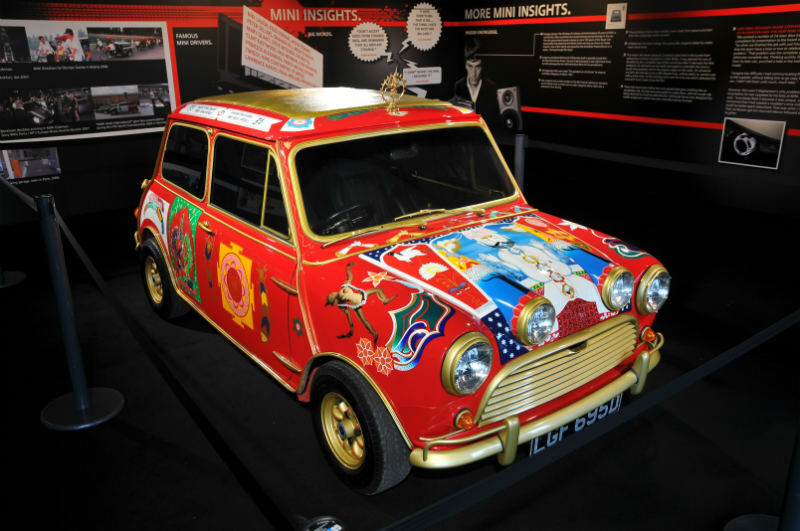 To mark the 50th anniversary, MINI also took the wraps off a reinterpretation of George Harrison’s flamboyant model. This one-off, presented to Olivia Harrison on Saturday night, fully met the precise design brief of the Beatles’ widow. She accepted the MINI on behalf of the Material World Charitable Foundation, a charity which George Harrison founded in 1973. The car will be auctioned this year to raise funds for the foundation. “George was a huge MINI fan and he would have enjoyed this new version. 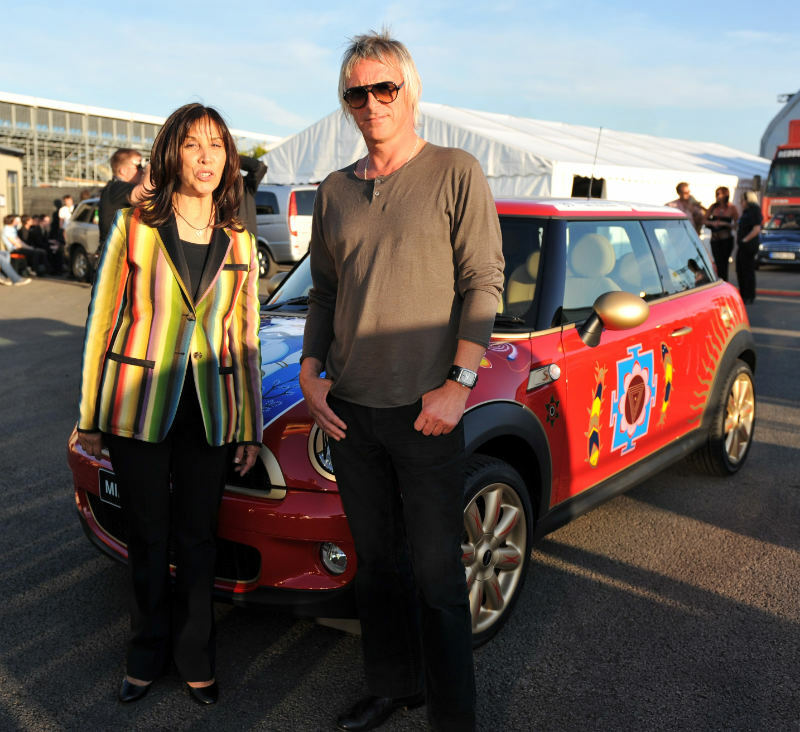 The fact that the 50th anniversary celebrations for MINI will also benefit our foundation has made it an enjoyable as well as meaningful collaboration,” said Olivia Harrison. The major highlight of the MINI United Festival was the appearance of “modfother” Paul Weller, former front man of the two legendary bands The Jam and The Style Council and now a long-standing and highly successful solo artist. 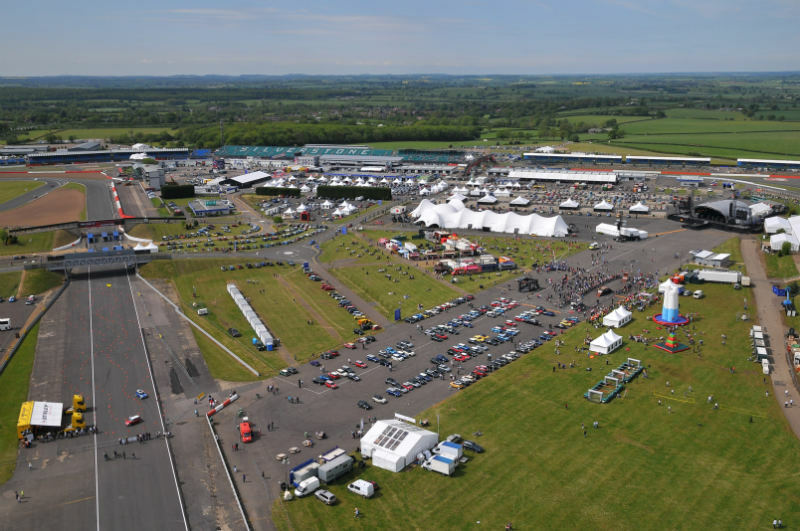 “As I’ve been driving MINI all my life, I was delighted to be able to join in the 50th birthday celebrations,” said Weller. 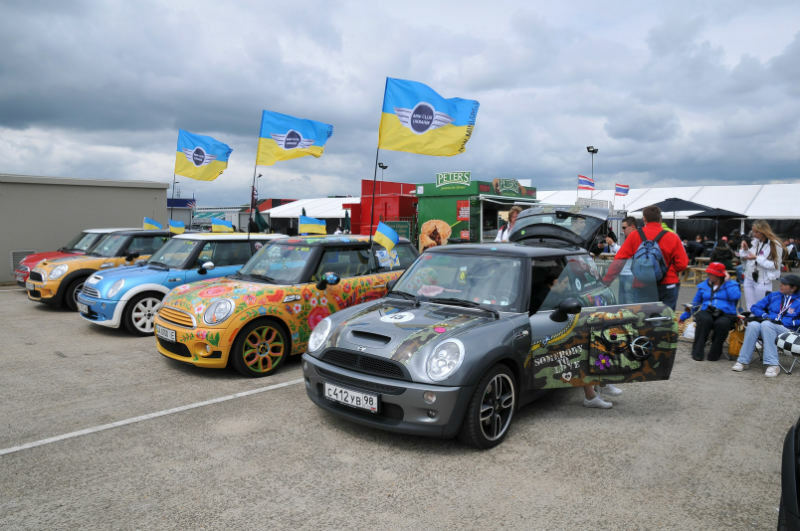 As a tribute to the British artist, the band Twisted Wheel performed a cover version at the festival of one of his classic numbers, “That’s Entertainment.” The track will be exclusively available from the MINI website: www.minispace.com.